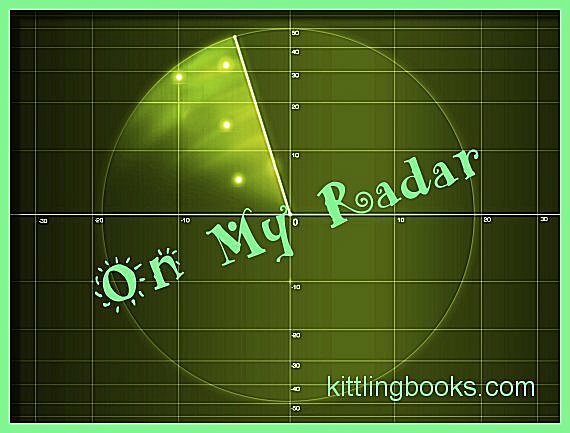 You know me-- I'm constantly on the lookout for new mysteries to read, and not just for the month ahead but for several months in advance, too. 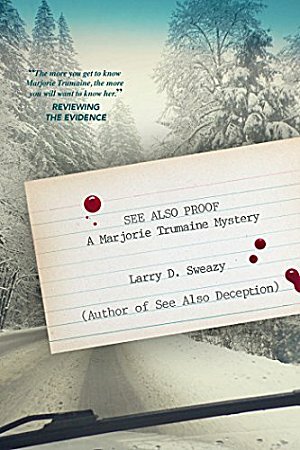 I became a fan of Larry D. Sweazy's writing when I read his first Marjorie Trumaine historical mystery, See Also Murder. The second, See Also Deception, was every bit as good, and his standalone, A Thousand Falling Crows, was on my Best Reads of 2017 list. The Marjorie Trumaine series is about a remarkable woman. Marjorie Trumaine is a freelance book indexer living on a farm in 1960s North Dakota who also cares for her disabled husband. As you can see by how I've sung the praises of Sweazy's other books, I did a happy dance when I learned that the third book in the Trumaine series is going to be released on May 1, 2018. Let me tell you a bit more about it. "Dickinson, North Dakota, 1965. It's a harsh winter, and freelance indexer Marjorie Trumaine struggles to complete a lengthy index while mourning the recent loss of her husband, Hank. The bleakness of the weather seems to compound her grief, and then she gets more bad news: a neighbor's fourteen-year-old disabled daughter, Tina Rinkerman, has disappeared. Marjorie joins Sheriff Guy Reinhardt in the search for the missing girl, and their investigation quickly leads to the shocking discovery of a murdered man near the Rinkermans' house. What had he been doing there? Who would have wanted him dead? And, above all, is his murder connected to Tina's disappearance? One of the things that makes this series so good is how everyone helps each other out on those remote farms. It reminds me more than a little bit of the small farming community where I grew up. If you've read Larry Sweazy's Marjorie Trumaine books already, then I'm positive you'll be looking forward to getting your hands on See Also Proof. If you have yet to savor one of these books, well... I've listed all the titles so you can have some excellent reading in store! Sweazy is one of those authors who's been too long on my 'I really ought to read him!' list. Thanks for the reminder. Glad that Lynn put in her opinion as well - I love Ruth Galloway and the Sea Detective. So, if you two love this series, I need to read it. Have just put the first on hold at my library. Yay! Two enthusiastic thumbs up here! "Marjorie Trumaine is one of my favorite characters in my crime reading. She handles whatever difficult situation she is in without self pity. It is normal and just has to be done. The series is one of my top three series. Right up there with the Ruth Galloway and the Sea Detective series. I have it pre-ordered. So glad to see Marjorie Tremaine again. Will look for this book. But, gee, there is a high disappearance and murder rate in isolated North Dakota.